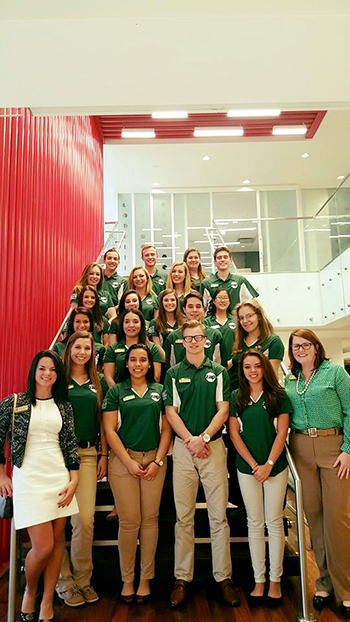 TAMPA, Fla. -- The “ZAP 2.0” cohort, which is the first to enter USF as Muma College of Business students studying advertising, had the opportunity to visit the Zimmerman Advertising Agency in Ft. Lauderdale in January of this year. Zimmerman Advertising, an Omnicom Group company which has become a leader in building national retail brands, was founded by Jordan Zimmerman, a USF alum. After starting his agency from scratch in 1984 and now reaching revenue of close to $4 billion dollars per year, he has given back a large donation to start a newly designed program with the goal of training advertising’s next great leaders. Students in the ZAP 2020 cohort, who are all currently enrolled in their first year of the new five-year program which offers a bachelor’s degree in business and a master’s degree in mass communications, have been given opportunities that many college students would rarely have in their first year. Since they started classes in August 2015, the students have toured three advertising agencies, met professionals who came to speak during their classes, attended networking events, and began working on their professionalism skills. However the highlight of this year for most was their visit to Zimmerman Advertising, where they received a full tour of the facilities and a personal speech from their program’s founder, Jordan Zimmerman. 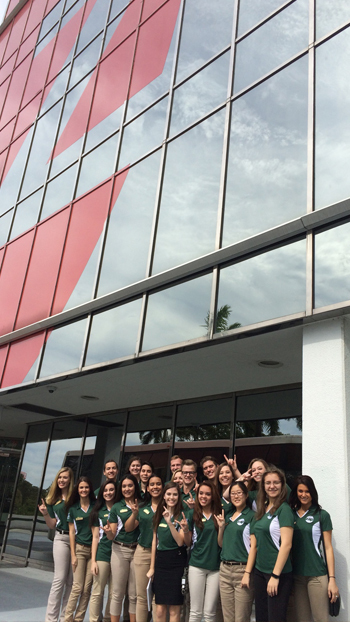 “Touring the Zimmerman Advertising Agency was a very eye-opening experience about what we will be doing in the future. Getting to have a discussion with Jordan Zimmerman was an incredible opportunity,” shared Sarah Rodhouse, a first year ZAP student. In addition to meeting Zimmerman during their visit, the students were given a tour of the agency by Sonia Grunbaum, VP of marketing, and learned about the Zimmerman Advertising Internship Program from the director of HR Mike Anderson. The students were also given the opportunity to speak with University of South Florida alumni who now work at Zimmerman Advertising in various positions. After leaving the visit, the students felt even more motivated to continue working towards their future careers in advertising. “Going to the Machine was an overall great experience. Not only were we able to get a better understanding of our future careers, but we were able to meet the man who gave us such a unique opportunity at USF,” said Danielle Bebber, a first year ZAP student.